Ring of Honor makes its long-awaited return to Toronto Sunday, November 11 at the Mattamy Centre with the final night of Global Wars! All four nights of the Global Wars Tour will air LIVE for HonorClub and the main event for Night 4 in Toronto has been signed! Four months into his second reign as ROH World Champion, Jay Lethal suddenly has gone from great champion to all-time great champion. Lethal has clinched second place for most total days as ROH World Champion following his defense against Silas Young and now sits in third place, just five defenses away from tying the record for most total defenses, as well. With every defense, Lethal climbs closer and closer to verifiably becoming statistically the greatest Ring of Honor World Champion of all-time. And with that in mind, “The Franchise” has issued “The Lethal Challenge”, an open challenge that is putting Lethal to the test. 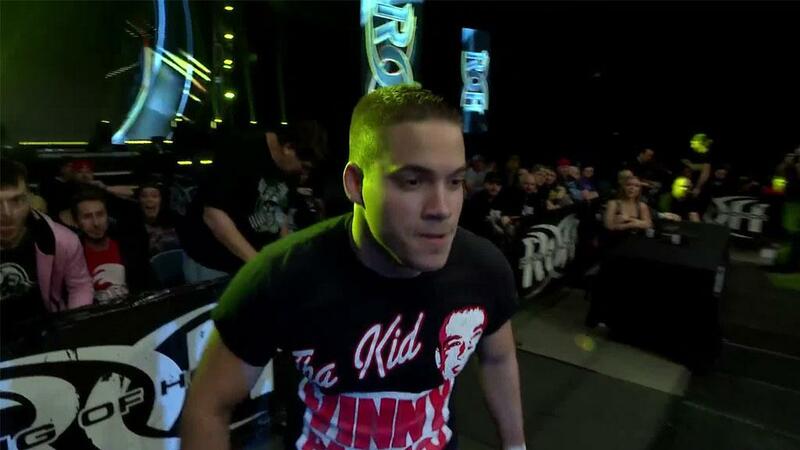 Following his defense against Young, Lethal was confronted first by Cody and then by Kenny King. Lethal told both, “any time, anywhere!”. 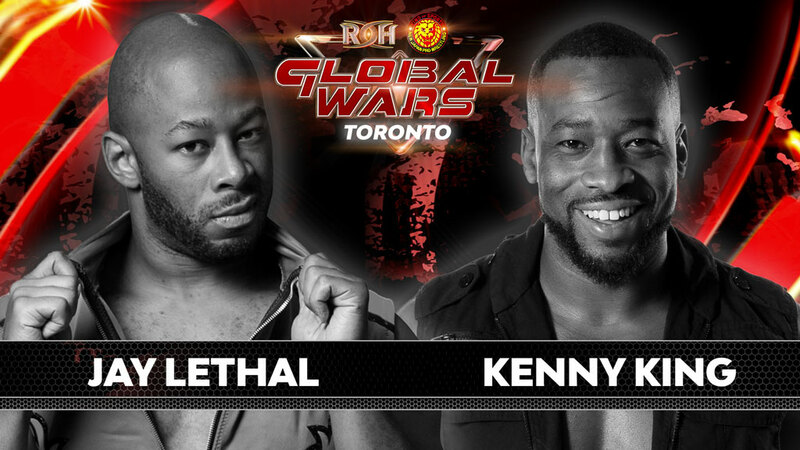 So it is in Toronto that Lethal will defend his Ring of Honor World Championship against Kenny King, a man who has recent victories against Marty Scurll, Adam Page, Chase Owens, and Jushin Thunder Liger, labeling himself as the “Bullet Club Silencer”! King has had one ROH World Championship shot in his career and it came on April 23, 2010 against Tyler Black, very early in his professional wrestling career. In the eight years since, King has traveled the world winning major championships in ROH and elsewhere, including the ROH World Television Championship twice in the last 365 days! King’s recent victories, including an undefeated streak for much of the summer, puts him firmly in championship contention and King pushed his chips to the middle of the table to challenge Lethal for the ROH World Championship in Toronto! King and Lethal have met just once before in one-on-one competition – for the World Television Championship in 2012! 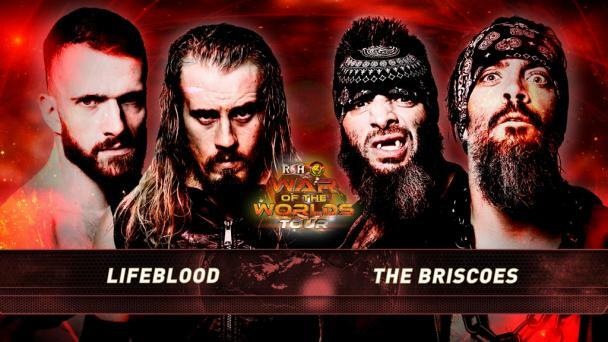 Lethal emerged victorious then but six years later, the two have grown to a main event-level and now will compete for the second time for the ROH World Championship? Who will pick up the victory in this HUGE main event and leave Toronto the ROH World Champion? Buy your ticket and join us LIVE or watch LIVE as all four nights are being broadcast LIVE for HonorClub!